A article in the Daily Mail yesterday talks about the fact that Churchill’s funeral carriage restoration is now complete. 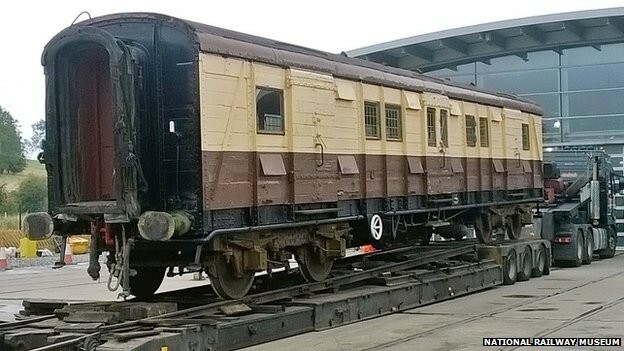 The carriage which carried Sir Winston Churchill’s coffin to his final resting place has been restored. Southern Railway luggage van No 2464 has spent four months being stripped and repainted at Locomotion, the National Railway Museum in Shildon. 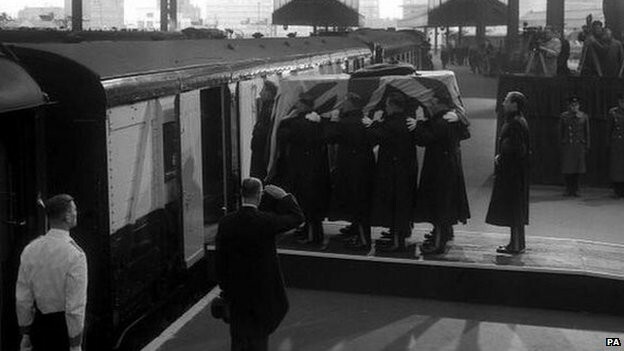 The carriage transported Churchill’s coffin from London to Oxfordshire in 1965. Manager Gary Campbell, said the restoration was something a lot of people in the town were “proud of”. 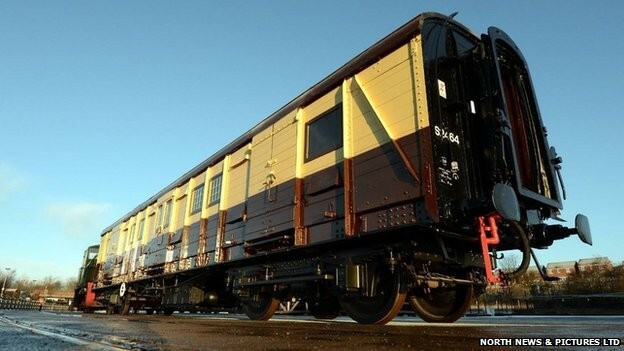 The newly restored carriage, which cost about £30,000, will now move to the National Railway Museum in York. It will be joined by the locomotive which pulled it as part of an exhibition commemorating the 50th anniversary of the former Prime Minister’s state funeral. After the funeral in London, his coffin was loaded into the carriage which was then drawn by Battle of Britain locomotive Winston Churchill to Oxfordshire. Thousands gathered along the route to pay their respects. The carriage was moved to Los Angeles in 1966 but returned to the UK in 2007. Churchill was laid to rest in the parish churchyard of Bladon, close to Blenheim Palace, where he was born 89 years earlier. The carriage was built in 1931 and was used during World War Two on evacuation trains before being put into Pullman colours in the 1960s. It was moved to Los Angeles in 1966 but returned to the UK in 2007 where it entered the Swanage Railway Collection.